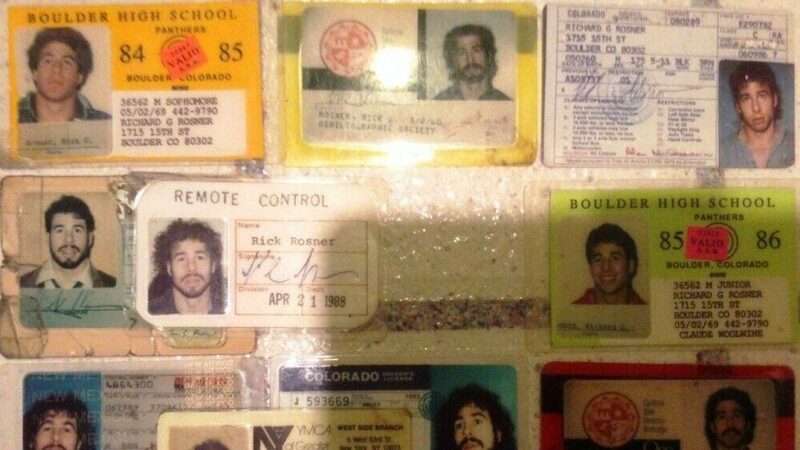 Scott: What’s it like being Rick Rosner? Rick: Right now, the Olympics are happening. It’s the very best people in the world at sports. In a way, I’m the world’s silver medalist in IQ. I want to ask NBC where my human interest feature is with Bob Costas. He shows me tending to my sheep, when I’m not working on IQ tests. Or working at Home Depot, neither of which I do, but which are generally involved in human interest pieces. Anyway, in my everyday dumbness and life, I am like everybody else, except with an obsession to go to the gym. Where I have a circuit, I go to five different gyms because this is LA. There are gyms every half-mile or so. Every three years or so, I have been poking at this IQ test, which is hard enough that it offers the possible score that could move me up in the rankings. However, it’s so hard. It has taken years to come close to completing it. I used to have an awesome and semi-crushing job writing jokes and bits for Jimmy Kimmel Live!, where I was for about 12 years. As far as things defining you, that job probably defined me. It was all-consuming while I had it. I haven’t had that job in 2 years. There’s a lot of me sitting at home in a towel because it’s hot, tweeting, and trying to get famous enough to sell my memoir of going back to high school several times. Right now, you and I are trying to sell a book to a mainstream publisher that may be called How to be a Fucked Up Genius. I feel little bit of desperation because I am 56 now. My time to be recognized as an authority on anything is getting shorter and shorter. I don’t feel 56, but there are a lot of people that feel that way. I take 70-80 supplements a day. I exercise for 2 hours per day. So, maybe, that’s a more legitimate claim in my case. Sometimes, I think about stuff that’s not non-sense. Usually, I am thinking about non-sense. We have been working for over two years. You encourage me to think about subjects that aren’t garbage: physics particularly cosmology, consciousness, the ethical implications of what we think about physics and consciousness, what the future will be like given what we think about physics, ethics, and consciousness. My wife and I are empty nesters for the most part. Our kid is going to be a senior in college. She has an internship. So, she’ll only be here for a week this summer. Although, the nest doesn’t feel entirely empty because we have a dog that pisses and poops when and where she pleases, often. It is a problem in behavioural engineering, which we haven’t figured out yet. That’s about it.